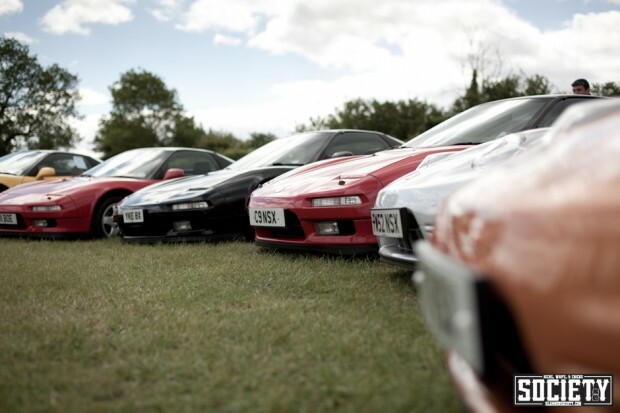 Every year the Japanese-owning car community in the UK descends upon the circuit of Castle Combe near Bristol in the south of the UK. I declined the offer to take up my usual position of track-side media to bring back some of the paddock content to Slammed Society. 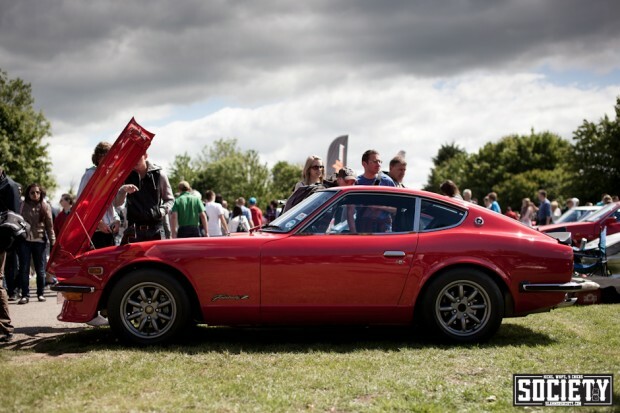 The show is Japfest and the concept is gathering the largest number possible of tuned Japanese cars in the same place to show, shine, track and drift them in the glorious British spring-sun. Pretty much every model is catered for, from the legendary Honda NSX, top, the import-only DC5 Integra Type-R above. 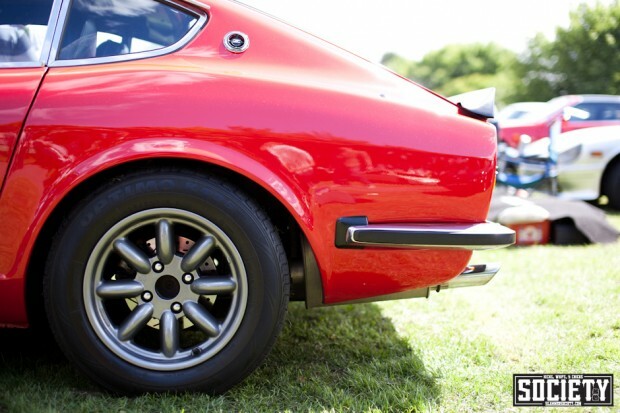 To a nice collection of Datsun S30s. I will own one of these one day! 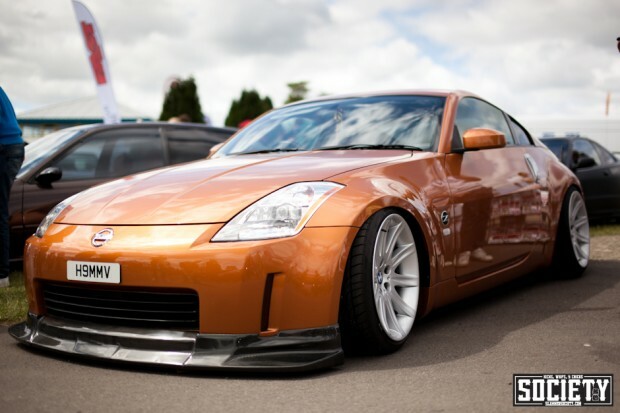 This clean Fairlazy Z was rocking a set of bronze RS Watanabe’s. And packed a tuned L20 (I think?) engine running carbs. I bet this thing sounds amazing! Utterly spotless! 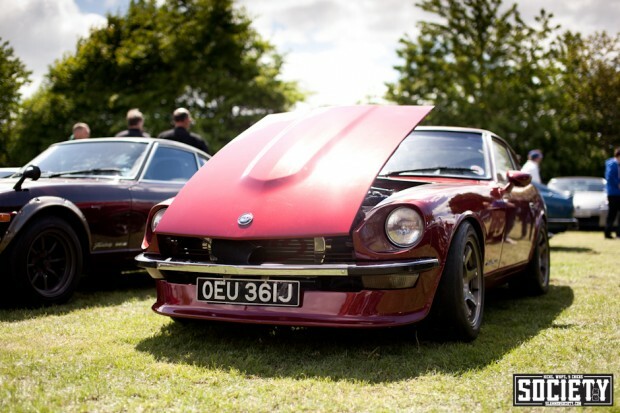 I remain hopeful that one day Nissan’s design department will revisit their styling from the 60s/70s. 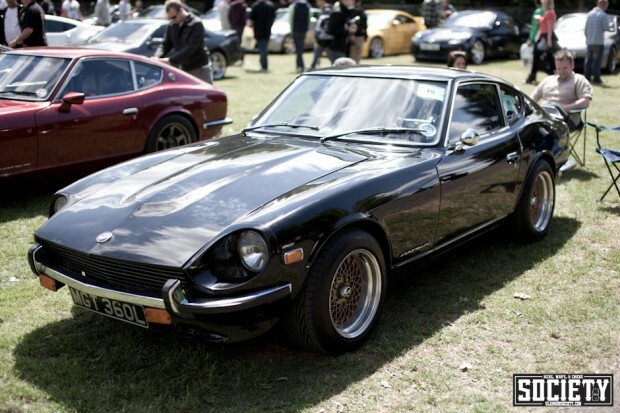 A different take on the Z-car, this one wearing a modern wheel design and packing a Toyota 1JZ motor under the hood. I bet this is great fun to drive with 400+bhp on tap! 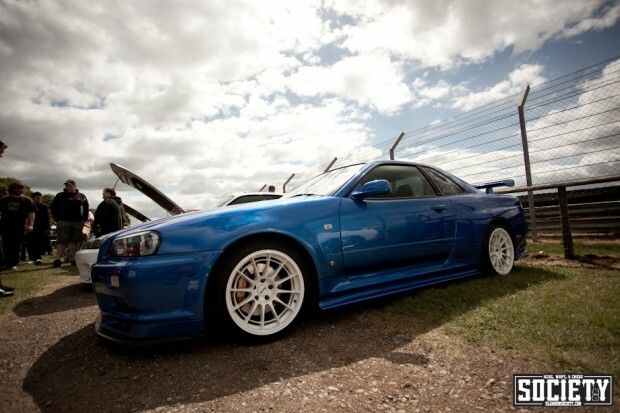 I spotted this R34 GTR tucked away at the back of one of the club stands. The white Enkei NT03’s look so right against the Bayside Blue paint. 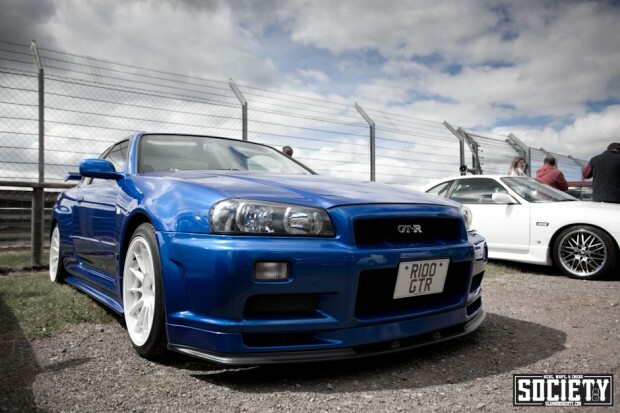 You tend to see more R35’s on UK roads than R34s now. Which do you prefer? 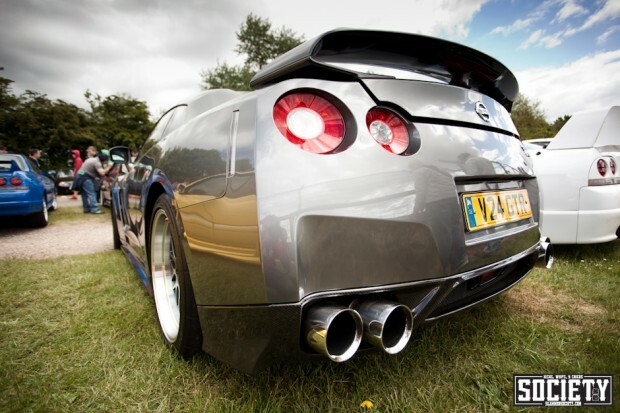 The aftermarket exhaust on this GTR made an awesome sounding car sound even better! TE37’s work on pretty much any car. 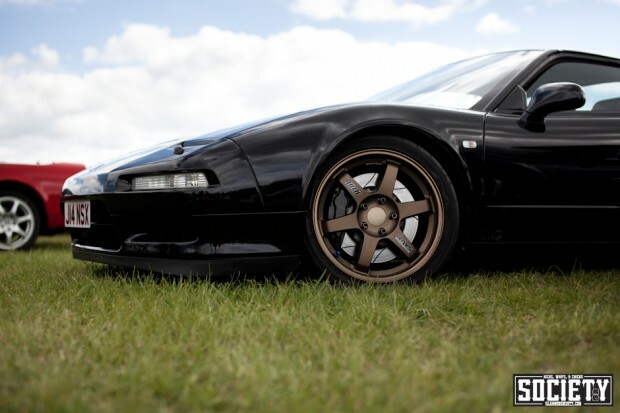 This bronze on black NSX looked pretty amazing. 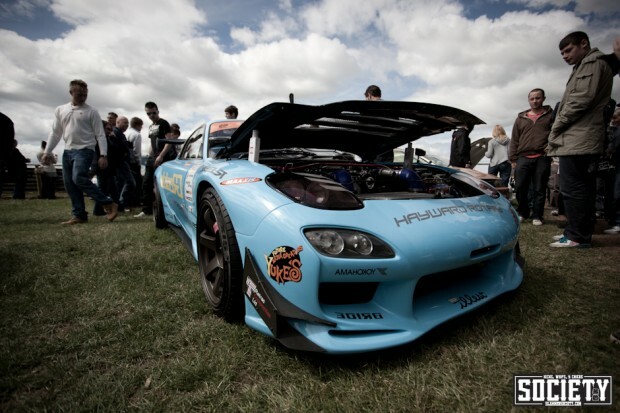 This RX7 was sporting a selection of Fatlace and illest decals. I’m pretty sure it’s a replica of the famous Greddy/Trust D1 car and not the real-deal. 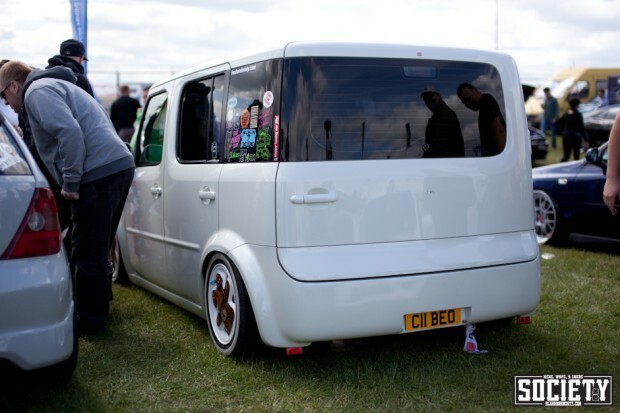 Always one for playing ‘spot the odd one out’ I managed to snap Speedhunter Paddy McGrath’s VW Caddy in the paddock. Lowered on a set of BBS LM’s who knew a camera-lugging-van could look so good? 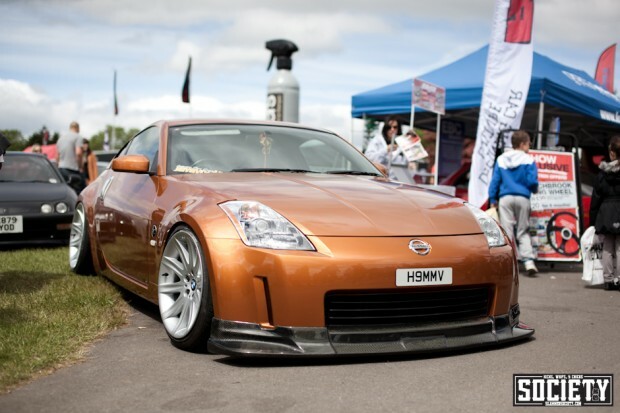 This 350Z was wearing some stock BMW E65 19’s. I love the idea of using stock BMW wheels on a Japanese car, and they suit it so well. Running some pretty strong alignment just tucks the rear 19×10’s under the fenders. 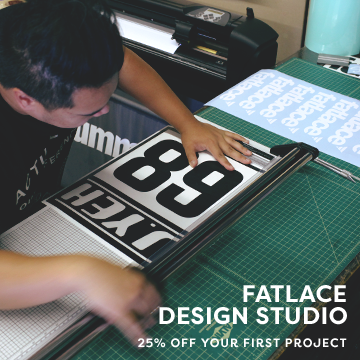 Reppin’ Fatlace with the license-plate holder too. UK car styling has come through some pretty patchy spells in the past but the latest trend of clean, OEM-style bodywork with good fitment is really starting to come through. 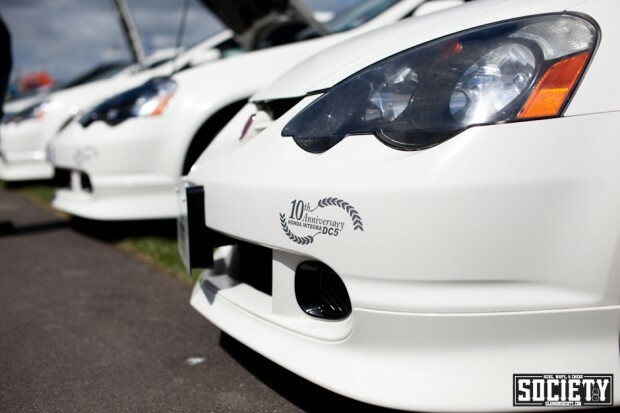 The S2000 above could be a bit lower but looks great on the white-face SSR Professor SP1’s. I managed to find pretty much the ONLY Subaru at the show without rally graphics and gold wheels. A set of BBS wheels set this Impreza off. Right next door was a Eunos Roadster rocking some Mexi-Flush orange banded steels. Whatever floats your boat. An identity-crisis Nissan Cube caught my eye, but for the wrong reasons. Can anyone I.D the wheels? 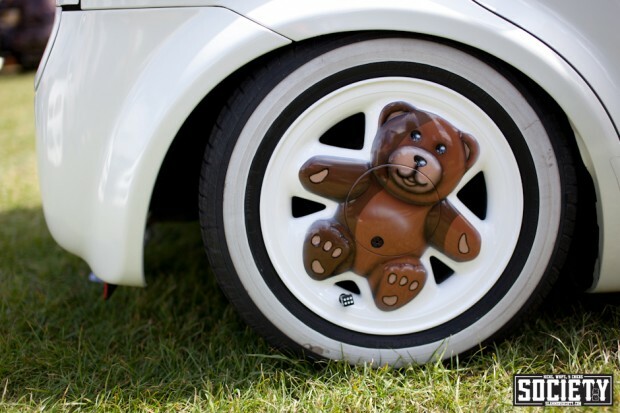 That’s right, Ronal Teddy Bears, fitted with white-wall tyres. There’s no accounting for taste. The doorcards are wrapped in Japanese comic-pages to complete the confusion. I said UK car styling was getting there but there’s always one. 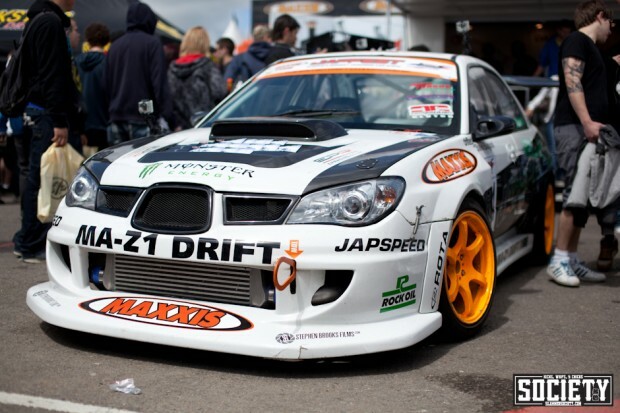 The Japspeed/MAXXIS Hawk-eye Subaru was out on track doing drift demos. The Impreza is powered by a Toyota 1JZ motor and features a Skyline rear axle and Nissan S13/S14 suspension and alignment arms. Sadly later on in the day it was involved in a shunt with a team member’s car, although I understand repairs are already well underway. 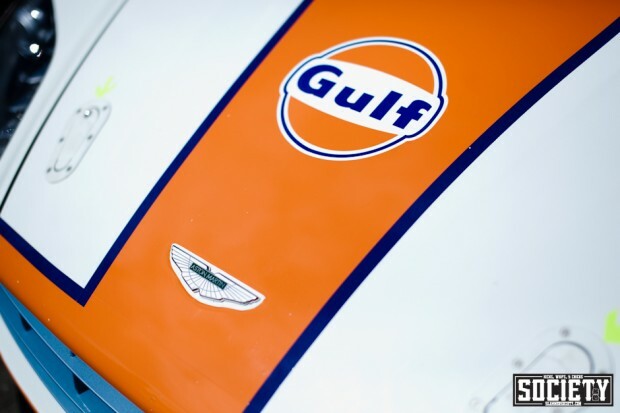 The ‘Gulf’ colour scheme has to be among one of my favourite race liveries. I didn’t get to see this Aston Martin Vantage out on track but it was attracting a lot of attention in the paddock. 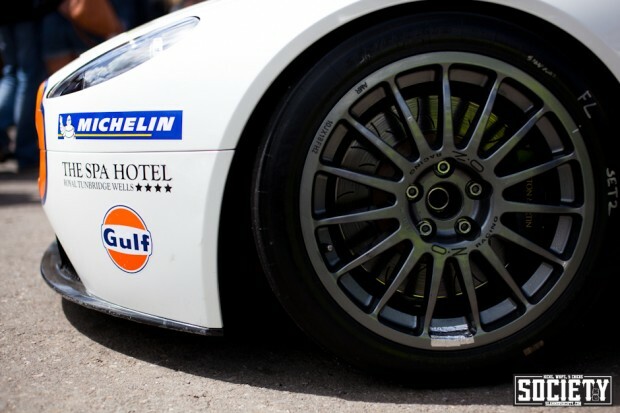 A set of 18×10 OZ Racing wheels house some pretty huge brakes. 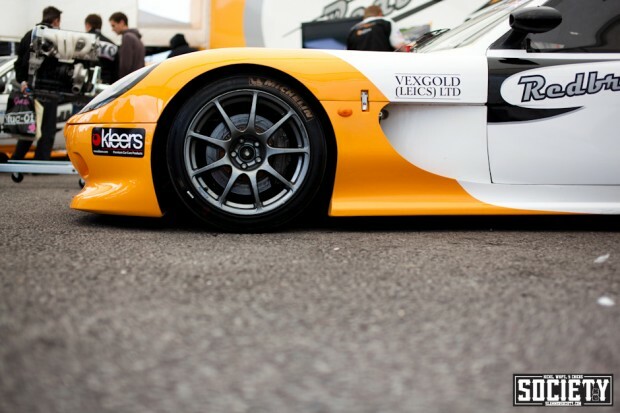 This race-chassis TVR Sagaris was a SERIOUS piece of machinery. Powered by a V8 LS7 engine and sporting some amazing ceramic-coated equal length headers I would imagine it’s pretty quick out on track. 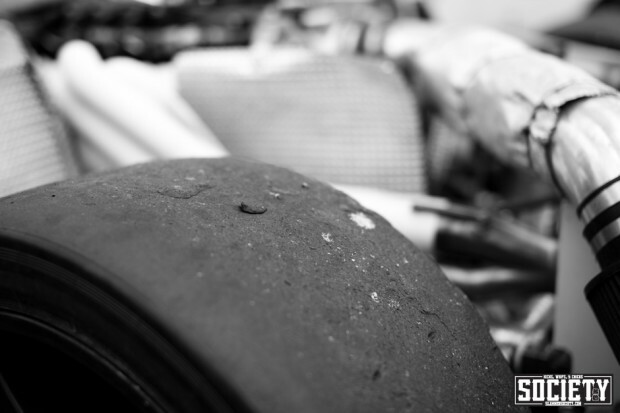 Helped by some sticky Dunlop slicks. Reppin’ illest and a with a huge GT wing this Eunos looked purposeful. An outrageous carbon fibre rear diffuser is all that is separating this Mazda from full-on Batmobile status. I’ve followed the build of this Toyota Aristo on forums but this is the first time I’d seen it in person. This car features full metal custom front and rear fenders built to accomodate the huge Garson Zuenglein DR302 . These are 18x 10 +10 on the front and 19×12 -6 in the rear. 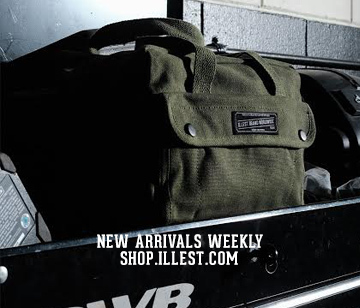 The AirForce airbag system drops the car millimeters from the floor. Air is really starting to take off in the UK, if anyone’s feeling generous I’m after a set for my E46 wagon! The Garson wheels originally arrived in the UK via an ex BN-Sports demo Silvia which now resides in Norway. The VIP interior puts some hotel-rooms to shame. 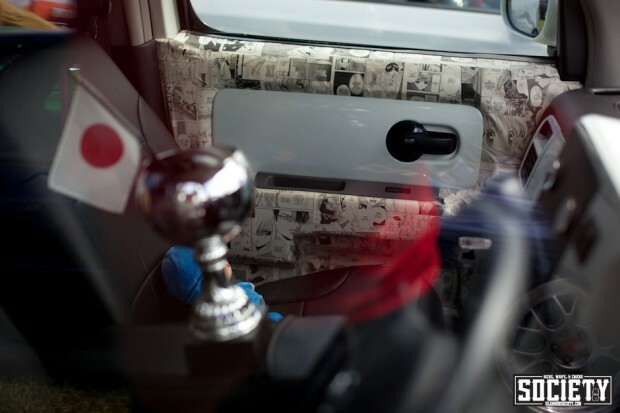 Junction Produce Fusa knot, Garson/D.A.D curtains and Garson/D.A.D front table complete the look. Following on from the German-wheels on Japanese-cars theme from earlier, an RX8 rocking Bentley wheels with a static drop. 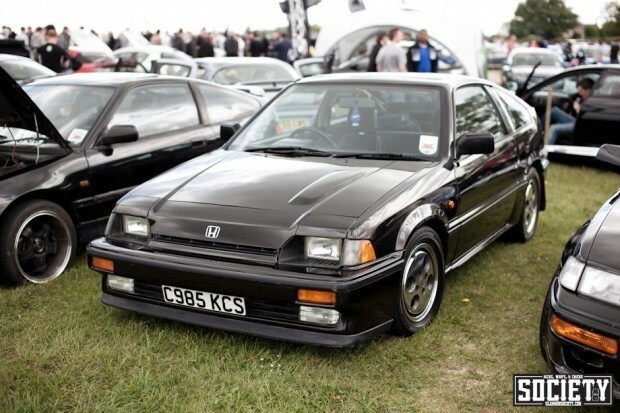 One of the great things about Japfest is the mix of show and performance. 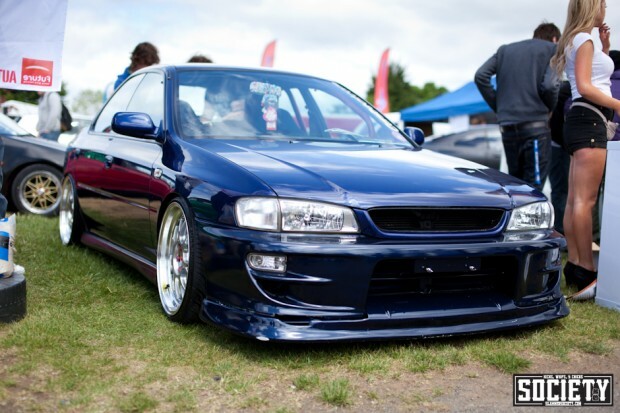 Right next to bagged VIP cars you have an Blitz ER34, owned by Julian Smith of Garage-D. This car was Nomuken’s ex-road car and has since been treated to updated livery. Redbrick Racing’s Ginetta G50 didn’t see the track sadly. 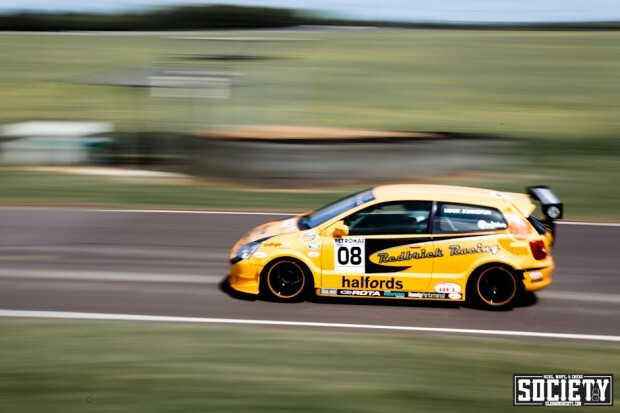 But their three ex-British Touring Car (BTCC) EP3 Civic Type-R’s were lapping at a great pace! US styling has a strong grasp in the UK now, although the wheel fitment isn’t always as aggressive key features have made their way across the Atlantic. 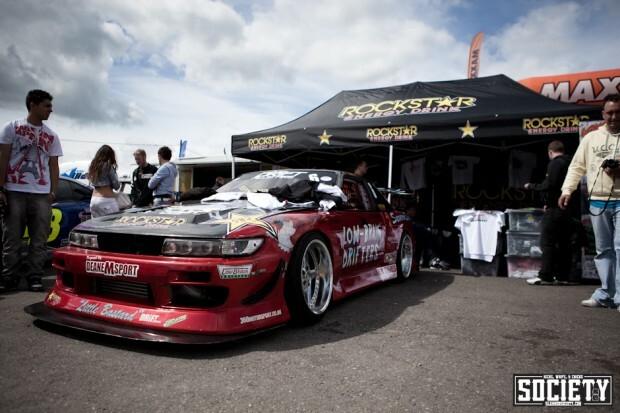 The Low Brain Drifter Silvia is piloted by Formula DRIFT’s James Deane in 2011 and is now backed by Rockstar Energy Drink. 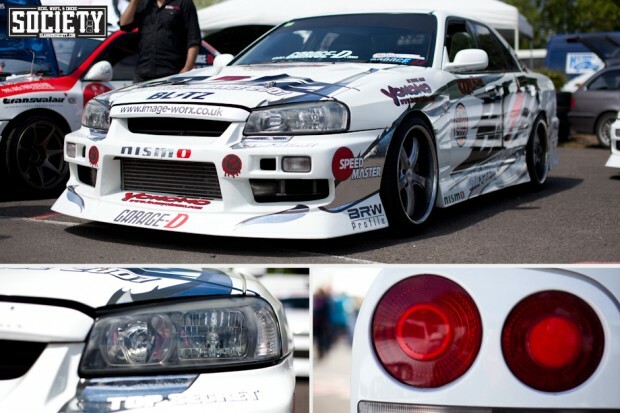 It’s great to see more big name sponsors taking part in UK drifting. 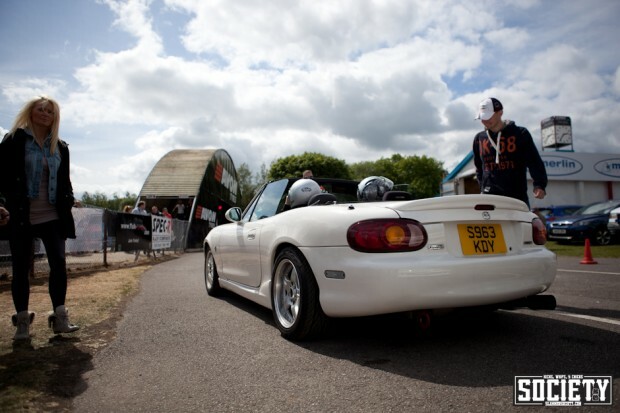 As I set off on the 3 hour journey home this Eunos was ready to go out on track. The typically dull British weather has blessed Japfest for the past few years so it makes sense to be able to blast around Castle Combe roof-down and enjoying the weather. Thanks to the guys at Future Publishing for putting on a great show again! Daily Driven | A 70′s Rabbit? 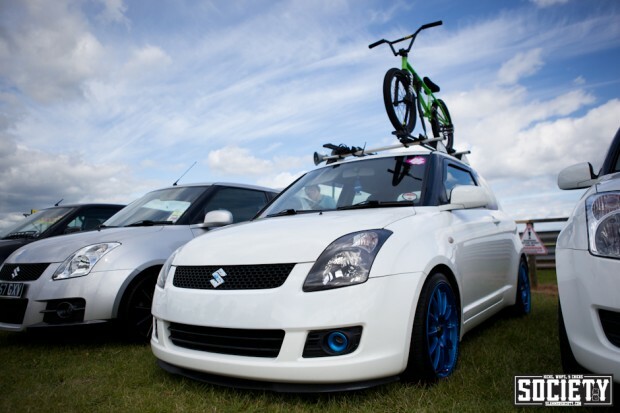 and cheers for featuring my swift. has put a huge smile on my face as fatlace has inspired a lot of the car. doing a good job with your GC! The wheels you are wondering about are Ronal teddies. Usually there just a non painted silver. 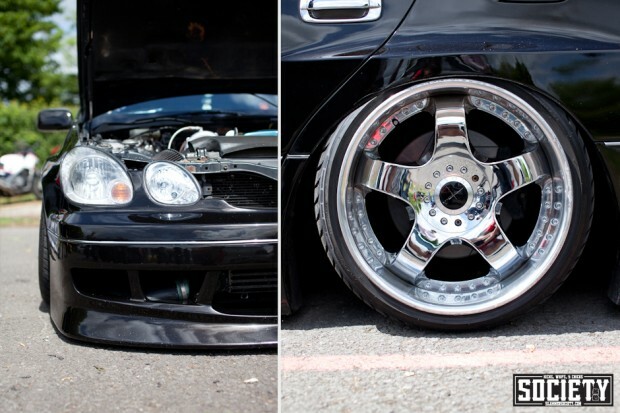 awesome pictures, Tom your car looked sick mate saw it in fast car few weeks before looks stunning in person! I’m glad a few cars are catching on in the UK. 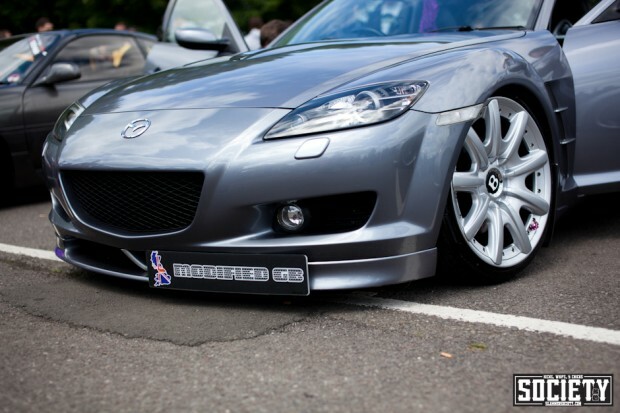 It’s all about the RX8 on bentley wheels! What a car! Can see plenty more to come from there car!! No pics of that brown EG? Shame. That was one of the cleanest cars there. The red Fairlady Z is my car. 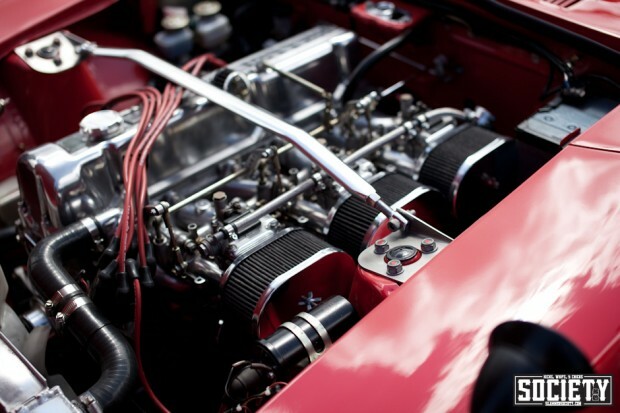 The engine is not the original L20 that it would’ve left the factory with but a completely rebuilt, balanced L28 (from a 280zx) bottom end with a 1mm overbore (comes in about 2820cc). Carbs are triple Dellorto DHLA 40s, and it is also running a Schneider Racing stage 3 cam, on a ported and skimmed N42 (280zx) head, with aluminized ceramic coated tubular manifold. Power is 200hp at the fly – although I’m hoping to squeeze some more out with a switch to the NISMO manifold I have waiting and a new exhaust system. Thanks for the correction Richie! I was trying to figure out which block it was! Lovely car!